nos han gustado mucho vuestras presentaciones! 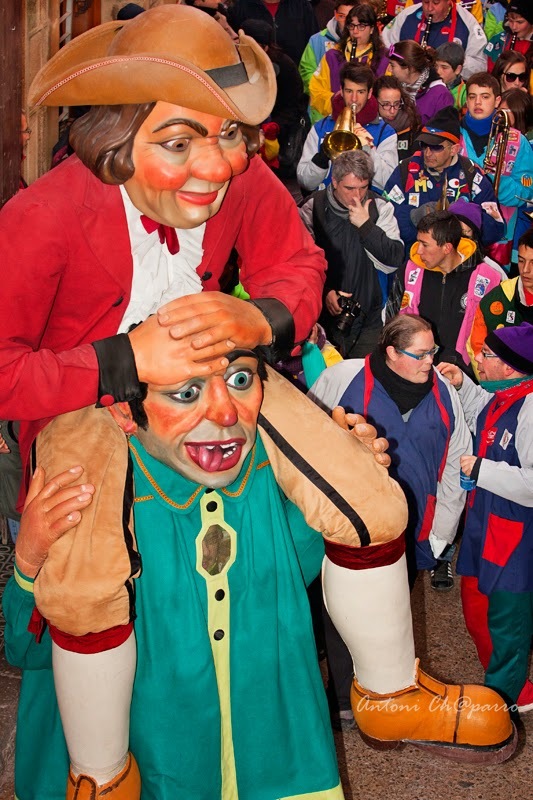 - the best year's week to have fun in Solsona is during Carnival. We have 7 days plenty of activities. But we have other important celebrations , like the Annual Town Celebration (Festa Major). - we like very much Txarango and Lax'n'busto, but the most famous singer in Catalan should be Shakira ;) If we assume that getting married with Gerard Piqué mades her a little bit Calatan too. She has a song in Catalan in her last album. - our typical dish is bread with tomato (pan con tomate) and sausage (butifarra), and rice (paella) too. We have some questions for both groups too. - How long have you been celebrating the Spring Racing Carnival? Here in Solsona we have a race in Carnival too, but it's a lot different. We'll explain you later. - Which language speak the indigenous stundets? - What's the most typical dish in your town? - Are there any penguins close to your town? - Which is your favourite football player? - Have you ever seen the whales very close? We've choosed Carnival for the geo-project because is our more famous celebration. We have got a lot of giants at the Carnival, all of them made in Solsona. Their names are: boig (crazy), mocós (brats), xut (owl), draca (dragon), and many more.